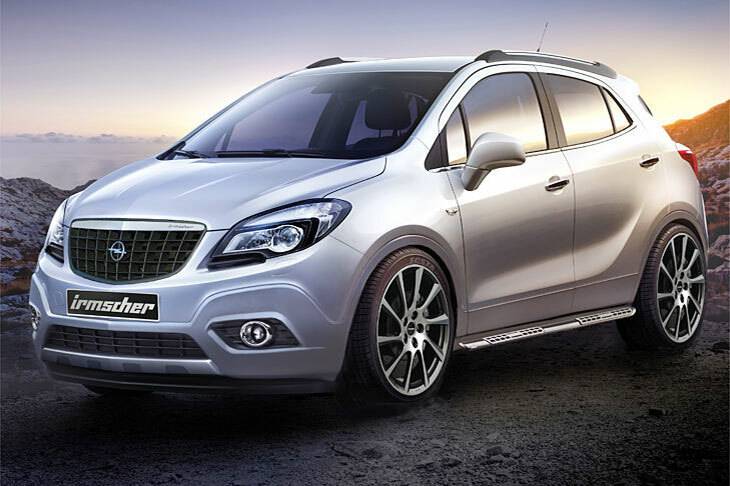 German GM tuner Irmscher is at it again — bringing more style and substance to Opel‘s newest crossover — the subcompact Mokka. 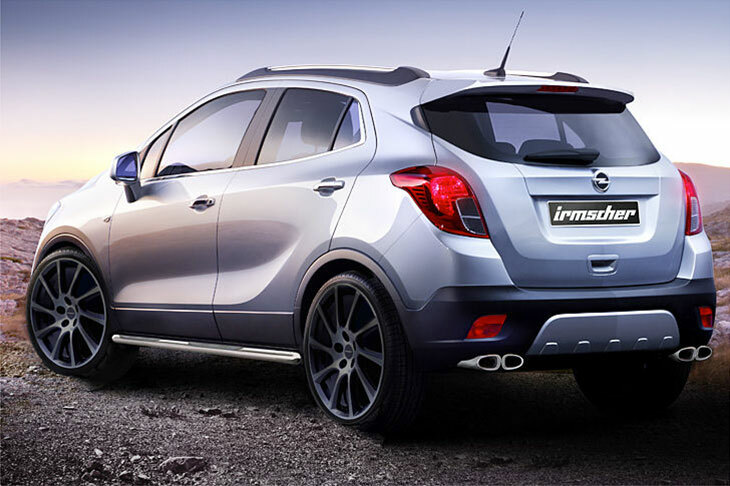 The company, which stuffed a V8 into the Opel GT (aka Saturn Sky), has given the Gamma-based Opel Mokka a new grille, an integrated roof-top spoiler as well as an exhaust system that makes itself known in four outlets. 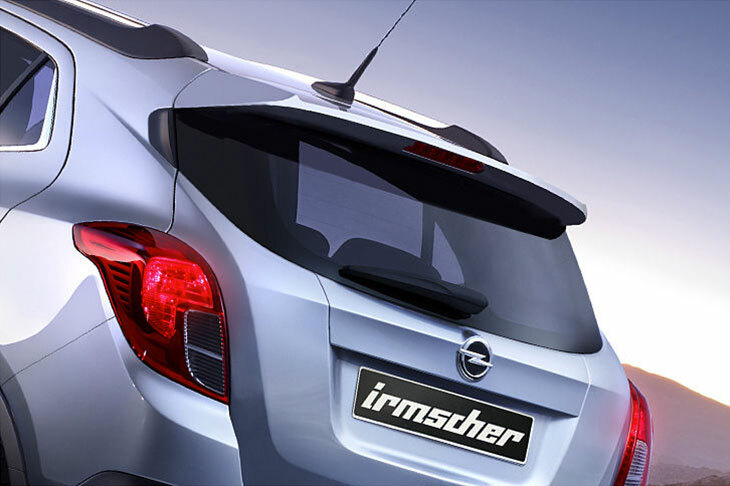 There’s also a set of running boards that are adorned with the Irmscher insignia and are available in stainless steel or matte black. 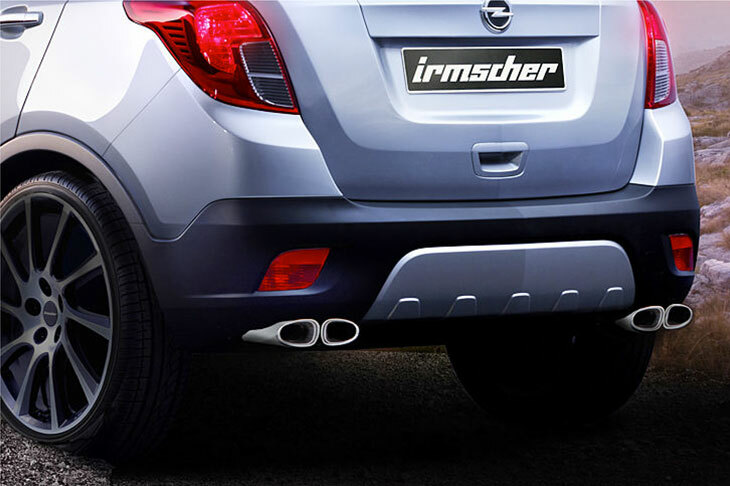 The Irmscher Mokka also sits 30 mm (1.18 inches) lower to the ground and wears a set of light 20-inch alloys, which are available in two different designs. Irmscher offers customers a set of unique seating choices based on material, color, and finish — which seems to be the only set of changes to the interior. While this particular instance of the Mokka does not have any performance-oriented upgrades, it seems that the tuner is planning a few performance enhancements for the 1.4 liter turbo engine — at least that’s what we could make out from the German translation. 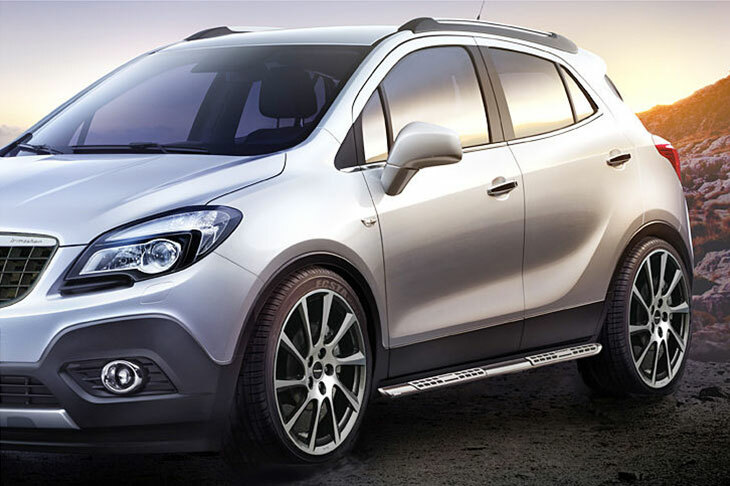 Do you love it or hate it, and would you do this to Mokka’s cross-Atlantic cousin — the Buick Encore? Talk to us in the comments below. Give us a shot of the driver’s seat from the front passenger window and I’ll have an opinion. Both Isuzu (when it was a GM brand) and Opeal/Vauxhall had Irmscher models that were very popular and successful. Here in Jamaica for many years, the SUV to have was the Isuzu Trooper Irsmcher. I think that it would be great if Buick could have a performance sub-brand, the way BMW has M Sport and Mitsubishi has AMG. Irmscher would be a great idea. In such a case though, I think the Irmscher cars should be debadged. 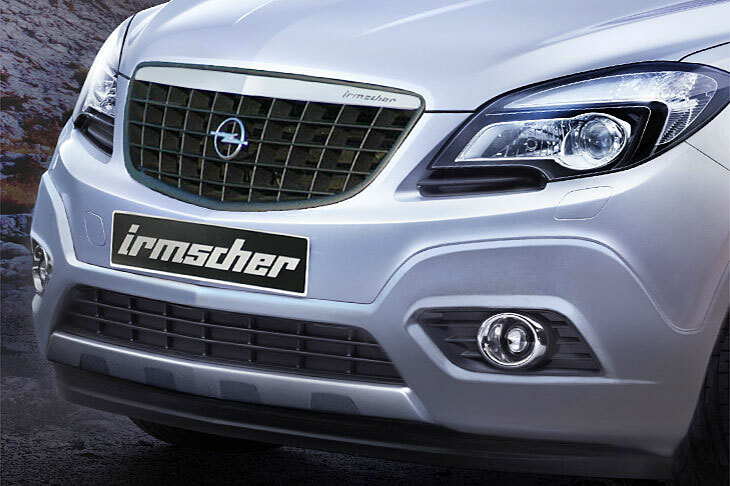 In other words, remove the Buick name from it entirely leaving the Irmscher logos. 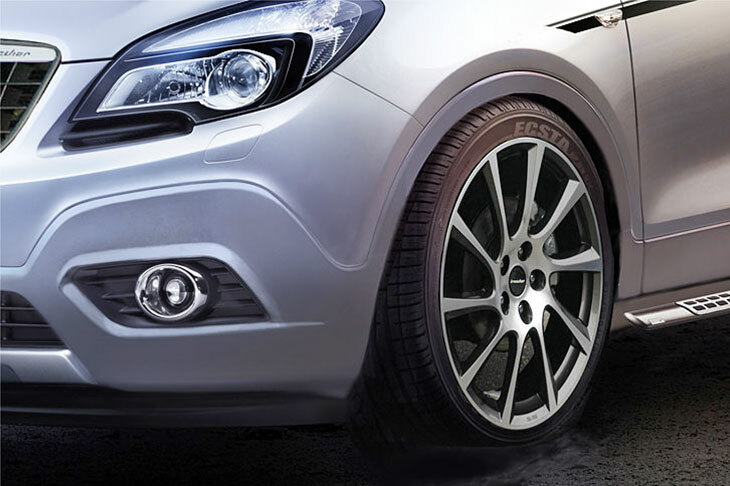 Irmscher Regal, Irmscher Verano, Irmscher Encore…you get the drift? Buick has had a number of performance/uplevel model names in the past. I guess if I had to pick a name for this one, once the higher perfomance Turbo was in it, I would go for a T type. Just does not seem to fit a GS or Gran Sport. I can only hope there is a performance upgrade. It and the encore desperately need the upcoming 1.6L turbo! The 1.4L turbo is underwhelming even in the lighter cruze. It is not enough engine to move this vehicle even acceptably, and once this initial sales surge is done, GM will lose a lot of further sales if they do not offer the right engine. Speaking as a previous owner of the Cruze equipped with the 1.4 turbo, saying that it’s “not enough engine to move this vehicle even acceptably” is an overstatement. The 1.4T by no means makes the car a compact performance sedan, but the mill’s output for non-performance (read: normal) driving conditions is more than acceptable. The 1.4T is just fine for a base engine, but the new 1.6T should definitely be offerred for those who care to have more puh puh puh power. Oops, I intended to say that the 1.4T is underwhelming in the Cruze, meaning sufficient but not at all performance, then say that the 1.4T would not move the heavier Buick Encore even acceptably. Sorry, I wrote that while waiting for a late-night flight that was even later. I do agree the 1.4T should be the base engine in both vehicles, then the 1.6T optional. The 1.6T can’t come soon enough… oh the things I’d do to get my hands on that engine! “bronc624” is correct if the Encore does not get the improvements we have noted, and quickly. Other than the Quiet Tuning, it does not separate itself in terms of performance from many other CUVs and hatchbacks that are somewhat larger (C Class). A B-Class vehicle must either perform better (mileage and/or acceleration) or be cheaper. A Buick is also expected to be comfortable — which won’t be the case for a lot of buyers without a center armrest.